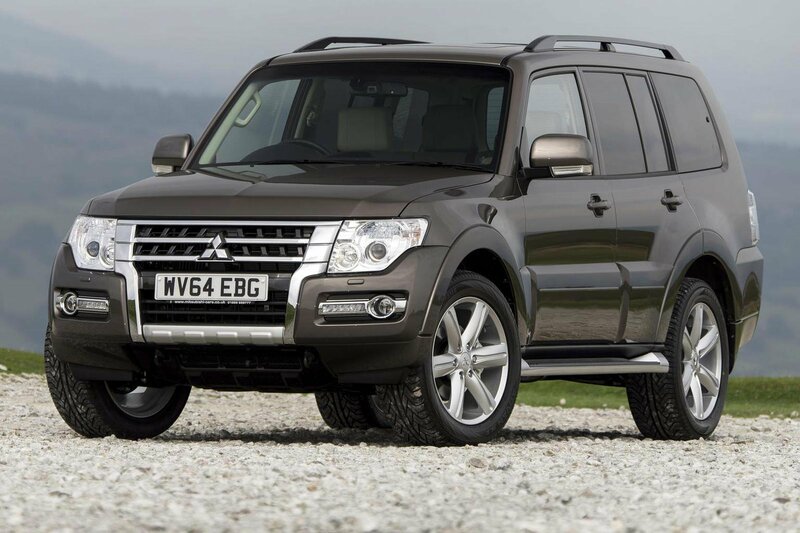 2015 Mitsubishi Shogun revealed | What Car? Mitsubishi has revealed a face-lift of its rugged Shogun SUV. Up front, a new grille and bumper arrangement freshen things up, and add LED daytime running lights to the standard specification. All 2015 models get xenon headlights, USB port, an upgraded infotainment system, some interior restyling and improved sound-deadening for models with the automatic gearbox. A tyre pressure-monitoring system is also a standard feature. SG3 and higher trim levels get either a black or beige leather interior and automatic high-beam system for the headlights. The short-wheelbase, three-door models are now available in only Warrior and Barbarian trim levels, both with a choice of auto or manual gearboxes. Five-door wheelbase models are offered in SG2, SG3 and SG4 trim levels, but the manual gearbox is available only in the cheapest SG2 trim. Oddly, prices for the range start with the five-door SG2 with a manual gearbox at £28,599, rising to £36,799 for the range-topping SG4 with the automatic gearbox. Three-door cars start at £29,369. Face-lifted cars are available to order now, with deliveries being made in mid-October.